As promised, here’s another great 78 from Morocco. Al-aita is the music of the urban and rural poor and is found generally in central Morocco. 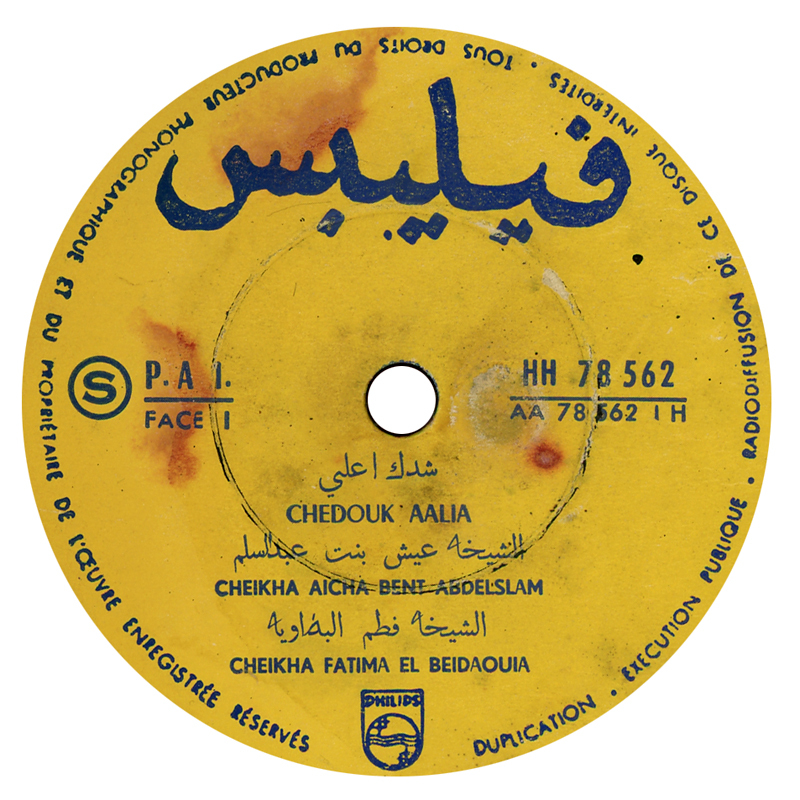 This recording is typical of the style, driven by raspy fiddle played upright on the knee, drums such as ta’rija and darbuka, and the call and response of the Cheikhates, the female singers that front the group. As with female performers elsewhere in North Africa, such as the cheikhat of Algerian rai, the cheikhates in Morocco suffer shame and are regarded as outcasts due to their transgression of social and religious roles. This record was released on Philips around 1950.